Please join us for this IBM Watson Marketing community webinar. 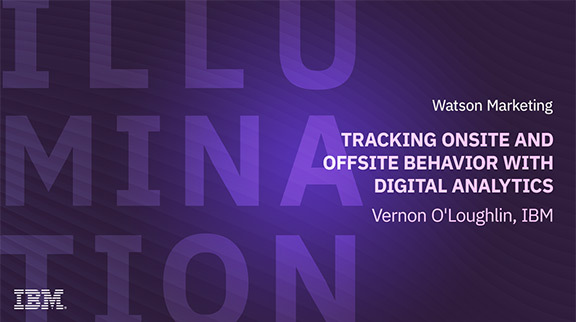 Vernon O'Loughlin from the IBM Digital Analytics Customer Support team will take you through how to track your off-site and on-site marketing links. Clients in the Financial Services, Banking, Insurance, Content, and Travel & Hospitality industries will find this particularly useful.